Also: Grants for virtual reality in surgery, a medical search engine and telemedicine in the news. 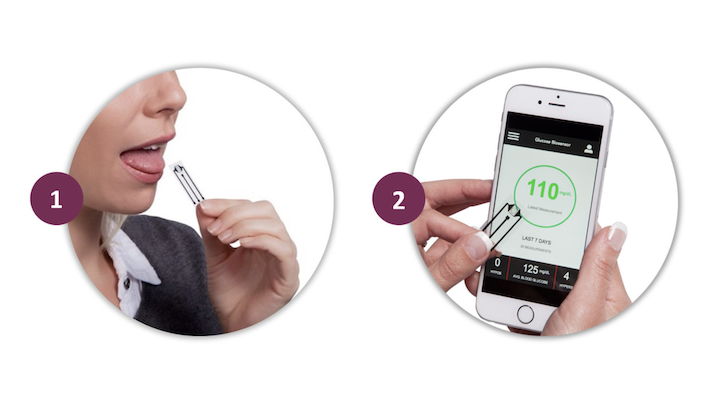 iQ Group claims to have saliva-based connected non-invasive glucometer. The iQ Group, an Australian consortium of life sciences companies, is developing a smartphone-connected real-time glucose monitoring test that uses saliva, rather than blood. Glucose levels in bodily fluids like saliva, sweat, and tears can serve as a reasonable proxy for blood glucose, but so far the many attempts at making an actionable consumer product along those lines have failed. It's a sought-after technology because it could allow for non-invasive glucose checks that would replace painful and uncomfortable fingerprick tests. According to the iQ Group, it's piloting and developing the technology in partnership with the University of Newcastle and is also looking at the same technology to detect tumor markers, hormones, and communicable diseases. CHICA adds epilepsy module. Digital Health Solutions, an Indiana University spinoff that makes patient education tablet software under the brand Child Health Improvement through Computer Automation, or CHICA, has added a module aimed at preventing sudden unexpected death in epilepsy, or SUDEP. The module has been tested at Eskenazi Health clinics for the past two months. "For children who have seizures, CHICA asks follow-up questions about frequency, medication adherence and barriers to accessing care," creator Dr. Stephen Downs, the Jean and Jerry Bepko Professor of Pediatrics at the IU School of Medicine, said in a statement. "The program shares this information with the physician. It also makes a reminder, through the patient's electronic health record, for the physician to discuss SUDEP with the family. The physician can document discussing SUDEP and provide computer-generated educational materials." Two virtual reality healthcare projects get grants. Researchers at the Rensselaer Polytechnic Institute have received $2.6 million from the National Institute of Biomedical Imaging and Bioengineering (NIBIB) to create a virtual reality training tool for colorectal surgery. According to the researchers, colorectal surgery has unique challenges for simulation as it requires "a fully immersive environment that allows them to see and physically interact with the patient's anatomy and untethered surgical tools." Meanwhile, startup Osso VR, which also works on virtual reality for surgical training, recieved just over $200,000 from the National Science Foundation thorugh its Small Business Innovation Research Program. Osso VR's focus is on creating a validated way to both train surgeons and assess their skills. Fitbit plans more kids’ trackers. Fitbit launched Fitbit Ace, its first tracker for kids this past summer. But the Ace wasn’t that different from some of the company’s trackers for adults. A new tracker leaked by Techno Buffalo appears to be a much bigger departure in terms of design — featuring bright colors, a chunkier design, and animated characters on the band’s monochromatic display. OpenMD.com launches medical search engine. New York-based OpenMD has launched a search engine for patients and medical professionals that filters out commercial content in favor of “documents from global health organizations, medical journals, health publishers, and government agencies”. The search engine, currently in beta, can be tested here. In the news: Biometric identification and telemedicine’s adoption problem. The Wall Street Journal reports that hospitals are increasingly getting in on the trend of biometric identification as traditional ways of identifying patients, like names and birthdays, are often failing. Meanwhile, an AP report says that as employers like Walmart begin offering low-priced telemedicine visits, there are still a large number of patients simply not interested.